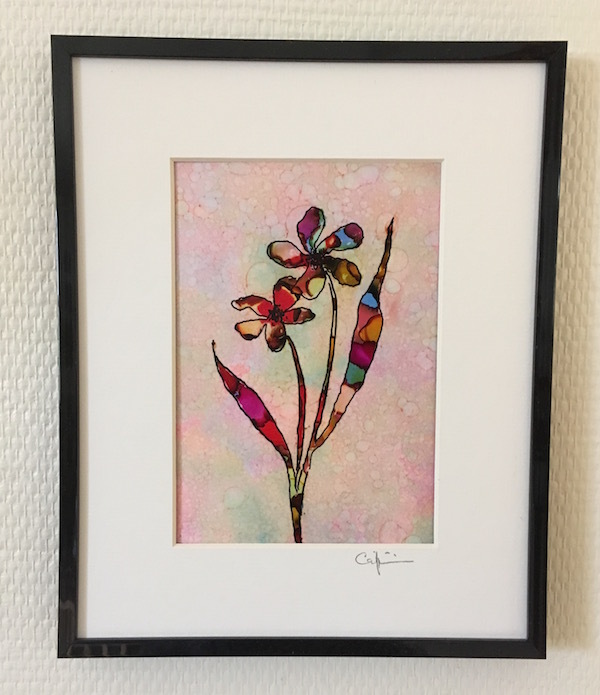 #2 Flowers is an original alcohol ink painting on 5″ x 7″ yupo paper with a white mat in a black 8″ x 10″ frame. Sunny Bouquet is an original oil on canvas. Framing services are available with a 10% discount when framing prints and a 15% discount when framing originals. 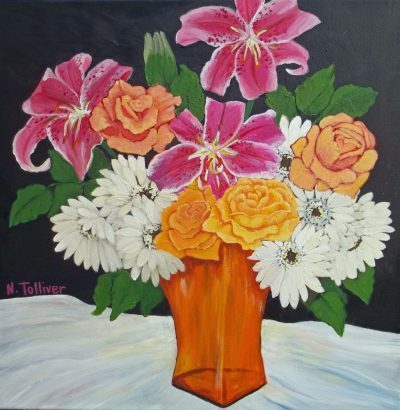 Happy Birthday is an "18 x 18" original acrylic painting wrapped canvas. High quality 8" x 10" prints are available matted to 11" x 14". Framing services are available with a 10% discount when framing prints and a 15% discount when framing originals. Our custom Ocean Kisses - Blue Diamond is a 12" x 18" mirror made from broken clam shells painted in multiple shades of blue and was created by artist Esther Berko. Please note: This item is custom and can be ordered by calling our store at 732-988-1002 for more information. The mirror cannot be shipped and must be picked up at the Main Avenue Galleria in Ocean Grove. Vermont Church is an 18" x 24" original acrylic painting on a wrapped linen canvas and is framed in a solid wood gold tone frame that measures 23" x 29". Framing services are available with a 10% discount when framing prints and a 15% discount when framing originals.